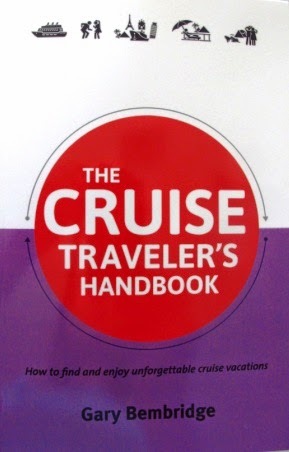 Whether you’ve never cruised and wonder what the experience is like or you’ve been many times, you’ll find plenty of tips in this entertaining book. The tagline for this book by Gary Bembridge is “How to find and enjoy unforgettable cruise vacations,” and it’s full of tips to help you do just that. You may be like Bembridge, who says he “thought cruising would make me feel trapped, would be too regimented, and was probably only for old people.” But during his first cruise, he was surprised that the experience seemed magical—a discovery shared by several people whose stories are highlighted in the book. Bembridge dispels myths about cruising by discussing seasickness, norovirus, boredom, and safety issues. He explains why cruising is suitable for almost everyone since there are so many options regarding ship type, special interests, passenger intentions, and itineraries. Included are tips for getting the best fare, choosing the right cabin, and exploring on shore when the ship is in port. Finally, there’s an extensive list of resources to help readers plan their own cruises.